Users who favor fishing games would be fairly excited for this title, as Purple Ocean is the prolific developers behind the hugely successful fishing mobile game, Fishing Hook. 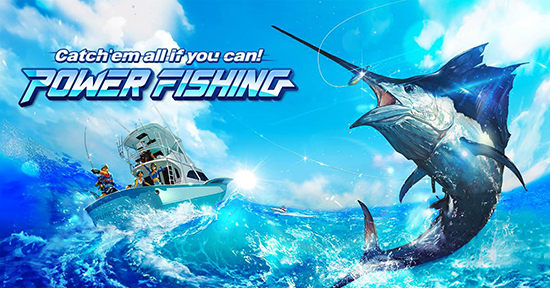 Power Fishing is a mobile fishing game that delivers a sense of realism through authentic 3D graphics of gameplay and fish models. The game is played through an easy and intuitive control system with a single button. With an UI that is easy for the eye, users can dive into an immersive fishing experience on their mobile devices. Power Fishing is aiming to expand their services on a worldwide scale. The developers are currently on the localization stages for 9 more languages: Chinese (traditional and simplified), Japanese, Spanish, Portuguese, French, Russian, German, and Hindi. Once completed, users will get to enjoy a rather more diverse MMO experience with Power Fishing. Running on the Unity 3D Engine, Power Fishing features an excellently designed UI that is easy for newcomers and skilled anglers to feel adapted to. Although the controls are easy and intuitive, users will have to make sure to practice their skills in knowing when to hold or release their reel. As fish on higher levels can outsmart users, the smart AI system will altogether deliver a thrilling action-packed, yet an authentic fishing experience to users. FISHING TOUR MODE: VISIT EXOTIC FISHING SPOTS AND RULE THEM ALL! Jump into the exciting fishing world of Power Fishing where you can catch and collect fish in exotic locations that becomes enabled with higher levels and boss fights. BOSS FISHING MODE: CHALLENGE YOURSELF TO BECOME THE MASTER ANGLER! Talking about boss fights, users can challenge special BOSS FISHES that are extremely difficult to catch. However, with the right amount of skillsets and determination, users will able to achieve rare bonus rewards that cannot be achieved during normal gameplay. FISHERY RAID MODE: MANAGE YOUR FISHERY & DEFEND IT AGAINST ENEMY RAIDERS! By catching fish from single player modes, users can collect them in their fishery. By growing the captured fish, users can allocate stronger fish as a defensive force of their fishery. Users can also raid others’ fisheries to gain special loot and raise their reputation points for extra rewards. Also, by decorating the fishery, users can gain special gameplay stat bonus effects. Missions comes in forms of Daily, Weekly, Monthly, and even to seasonal Special Challenge & Event Missions. By completing each one of them, users will able to achieve unique prizes that can help users to experience more enhanced and complex gameplay. If you think realistic and thrilling fishing gameplay is your suit, don’t forget to check out Power Fishing on Google Play Store and try it out for free.